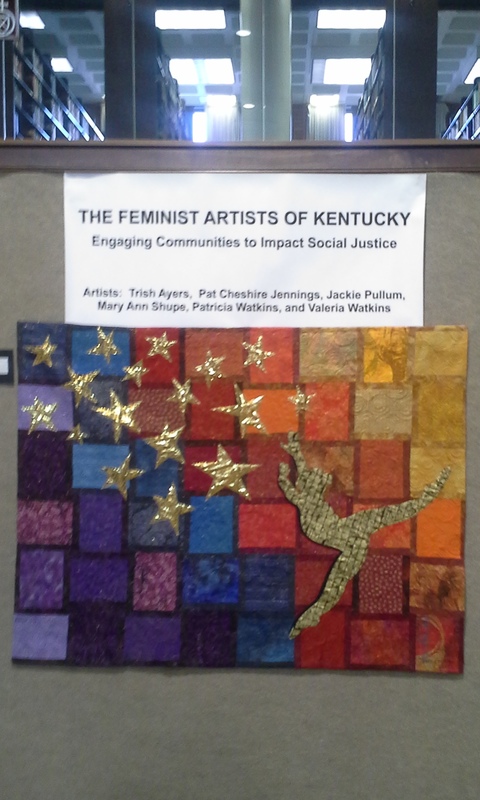 The Feminist Artists of Kentucky Art Exhibit is on display at Hutchins Library through the month of February 2016. These working artists combine their efforts and talents to expand their creativity and create exhibitions that challenge the social norms. The artists support gender parity and equality in the art world. And guest artist Lynn Marrapodi. If you wish to purchase any of the art pieces available for purchase, you may call 859-302-3709. The exhibit can be viewed in the main floor of Hutchins Library during regular library hours. African American Artist, Valeria Watkins (Dr. Valeria) is showing 20 original acrylic paintings in a solo exhibition in the lobby of Hutchins Library this month. The show will run through January 30th. Please join us Friday Jan. 15th from 4:30pm – 5:30pm for the show’s opening reception. 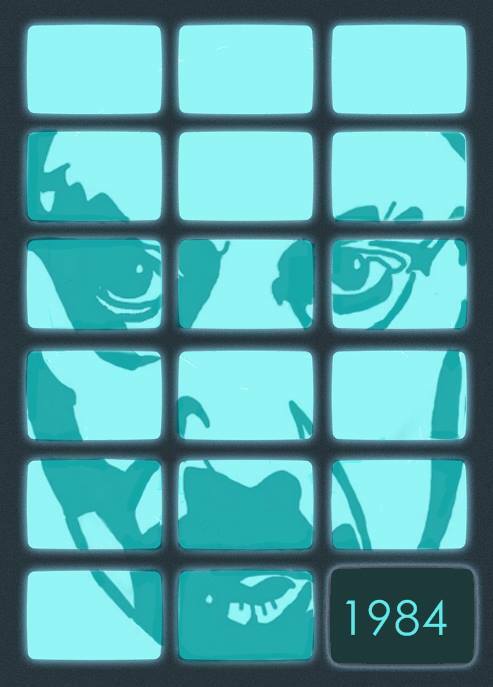 “I never imagined this show as a possibility . While I have been in-love with painting since the fourth grade, I never aspired to do more than paint what I enjoyed. Certainly, I never thought that I would be invited to have an exhibition. While I have had several pieces in group exhibits and pieces have sold, yet looking back, I think I have given more paintings away as gifts. I started painting in oils many years ago, but after relocating to Berea from California, I have been working in acrylics. They are so forgiving. I love color! 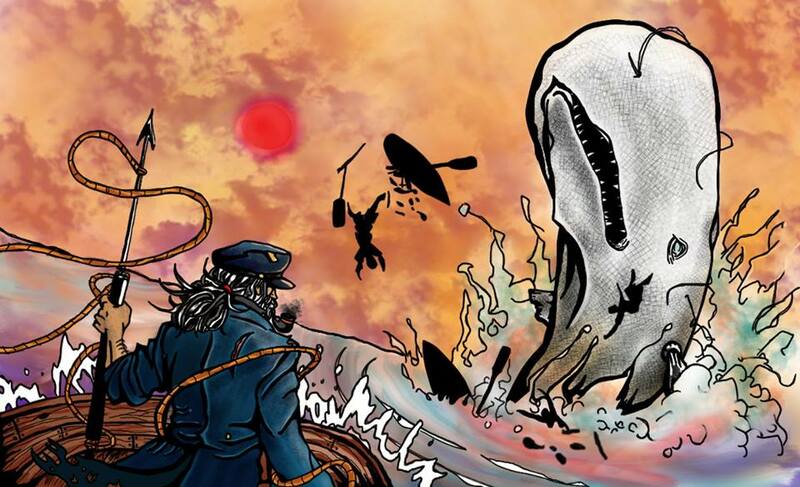 Using colors to bring an image forward continues to captivate my journey as an artist. I love mixing colors and using colors to bring something from deep within to take direction and shape on the canvas. If I don’t like it I paint over it! My paintings have to feel right to me. Being an artist is exciting, demanding and challenging and I love it. The majority of these paintings are from 2015. I had the time and creative direction to produce a lot of art. These paintings are predominantly abstract images with a few from the later part of 2014. I love experimenting with textures. I repurpose as many things as I can think of that will help me influence and restructure the flat canvas. Those pieces are designated as multi-media. It is that quiet space between my thoughts that I work hard to paint from. Freeing myself from the boundaries of right and wrong. That is why I love abstract. Each viewer interprets from their own experience which makes it a more personal connection to the work. Hutchins Library invites you to visit by an exhibit of Alice Driver’s photographic work that is now on display at the entrance of the Library. Alice Driver is a Berea College alum who will be presenting this evening, at Mundo Monday at 6pm, as well as at Peanut Butter and Gender this Wednesday the 25th at noon. 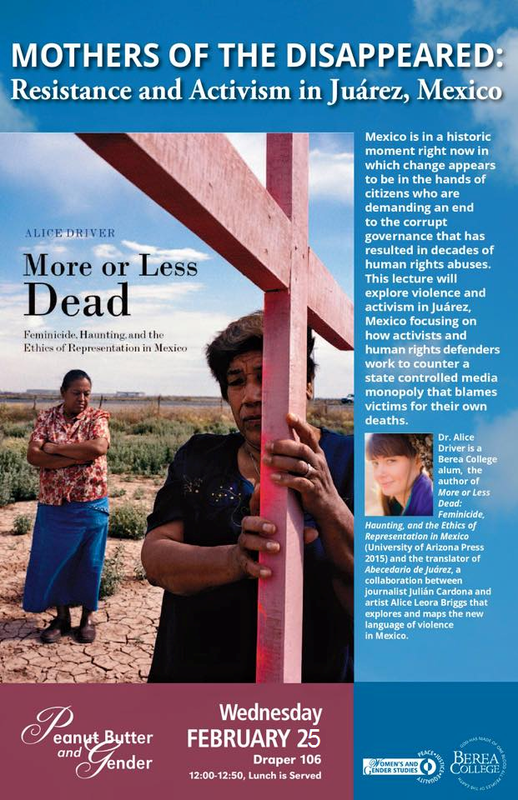 Alice’s book, More or Less Dead: Feminicide, Haunting, and the Ethics of Representation in Mexico, is being published by the University of Arizona Press next month. The library has ordered copies for its collection and will make them available as soon as possible. The exhibit was curated by Rachel Burnside. 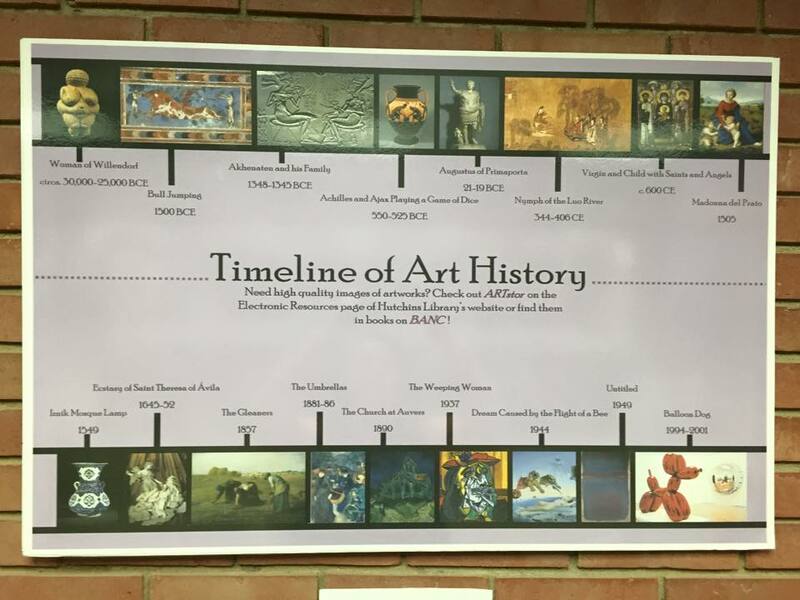 The next time you are in Hutchins Library, check out the new Art History display, located in the study area to the right of the printers in the Reference Area. Reference Student Abby Houston curated this display to share her major as well as to help students know where to find high quality images within our library and online databases. 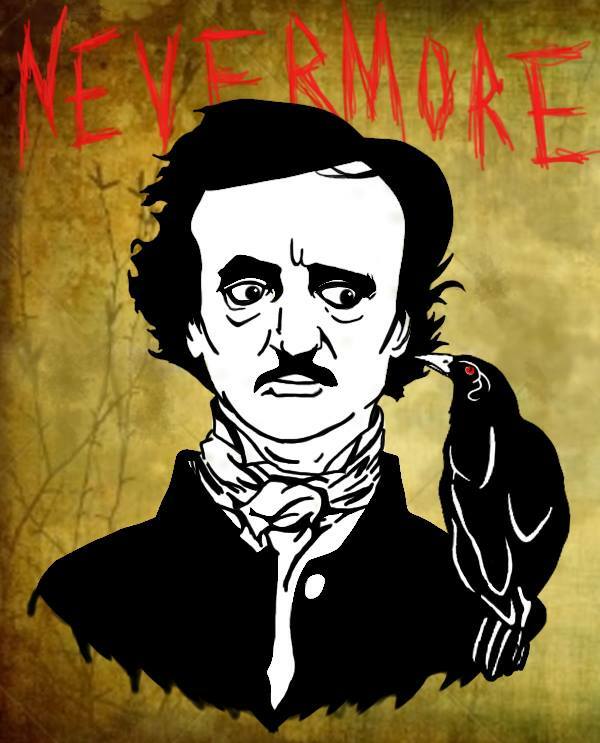 A lot can be learned by studying art from the past. Art doesn’t just provide us with aesthetic pleasure, but it clues us into the culture that produced it. By studying its materials, iconography, color, symbolism, function, style, and technique, we can expand our knowledge of that culture and learn what role a certain piece of art held within it. Art has been around since the beginning of time and is something that connects all cultures from every time period, even today. This display shows 20 books filled with images and information that can be found in the collection of our library. Some of the books shown above are about: Impressionism, African art, Italian Renaissance art, Pablo Picasso, Celtic art, German Expressionism, Roman art, Egyptian art, Modern Chinese art, and others. Feel free to scan through their pages and experience a wide range of art- you can even check them out! 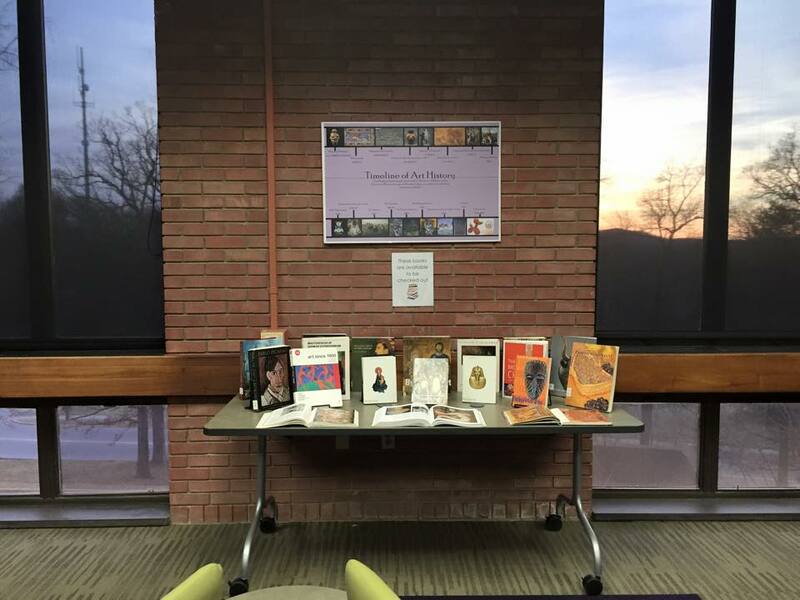 Whether your major or minor is in art, you simply have an interest in it, you need an image for your paper, or you need to kill some time, this display lays out the kind of resources Hutchins Library has to offer. In the circulating print collection upstairs, there are thousands of books about different art movements, artists, and time periods that all contain high-resolution images you can flip through and look at or scan onto a flash drive to use for your own research. In our A-Z electronic sources list is a database titled “ARTstor” that is dedicated only to images of artworks; ranging from Michelangelo’s David to King Tut’s mask to Japanese prints. To access these images, you type in an artist or title and search. 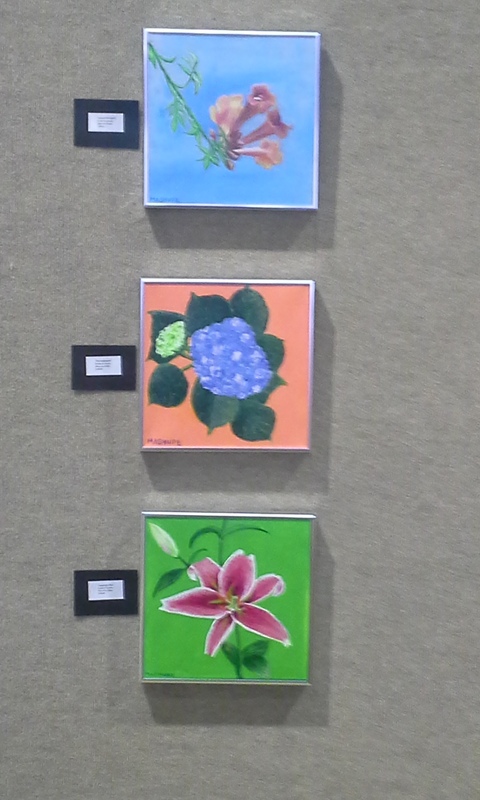 You may have noticed a set of paintings to the right side of the reference desk when you visit the library. They are the work of Berea alumnus Gary Chapman, ’84, and the paintings are part of a campus-wide exhibit. The exhibit features 12 paintings from The HELMET Project that are placed strategically in six buildings around campus: Danforth Industrial Arts, Draper Building, Frost Building, Hutchins Library, Lincoln Hall, and Seabury Center. The exhibition is the first time these paintings have been exhibited outside of a gallery. In addition, you can visit the Doris Ulmann Galleries in the Roger-Traylor Art Building and view photos of the paintings in other unexpected places. The exhibit runs from August 24th to September 26. If you would like to learn more, the library has copies of the artist statement and other materials you can take. 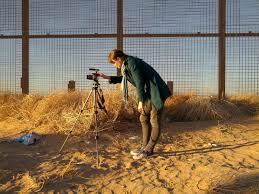 In addition, you can watch the video below where the artist speaks of his work. 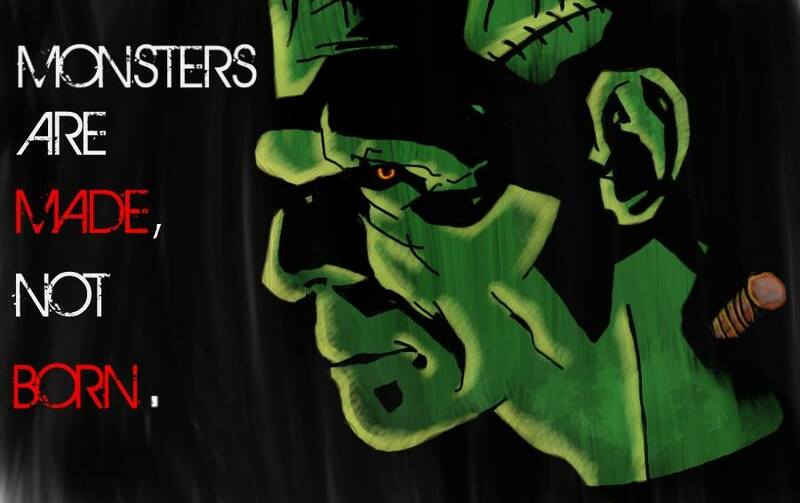 You can also visit his official website at this link: http://garychapmanart.com/. The HELMET Project from High 5 Productions on Vimeo. 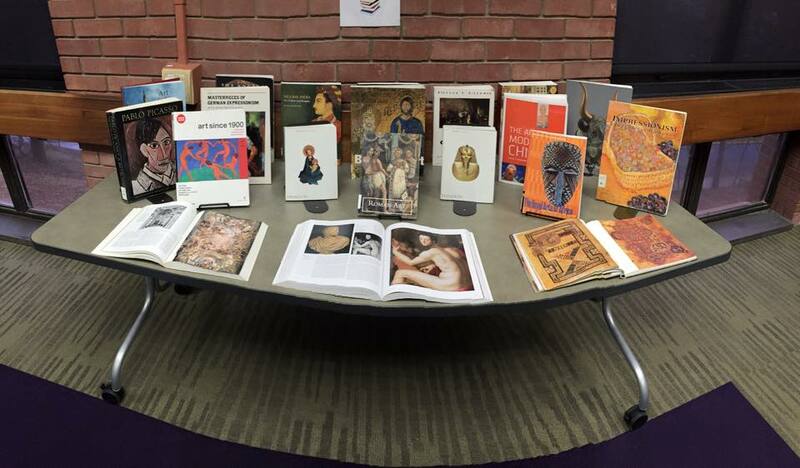 Stop by the rear of the Reference Department this month to catch our newest exhibit, “Revisiting the Classics”. Reference student worker Matt Jones crafted these amazing original works of art after finding inspiration in classic works of fiction.